Omega has crafted a work of clear excellence in design, achieving the perfect balance of fine swiss-watchmaking and contemporary luxury. The case and crown are made from 18ct rose gold, with clear sharp and rounded indices that help you track the time. 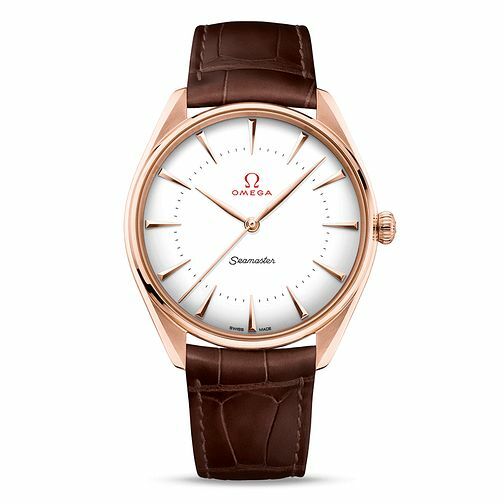 The Omega emblem in the centre resembles the older designs, giving it a distinct vintage mark with a brown leather strap to finish it off for watch that is perfect for any serious watch-collector.